so the backing paper is a piece of one of them. The image is one I have had for yonks... the nail varnish bottle is from a digi kit...added plenty of glossy accents and glitter to the nails and varnish. Butterflies are punched with my Martha Stewart punch. 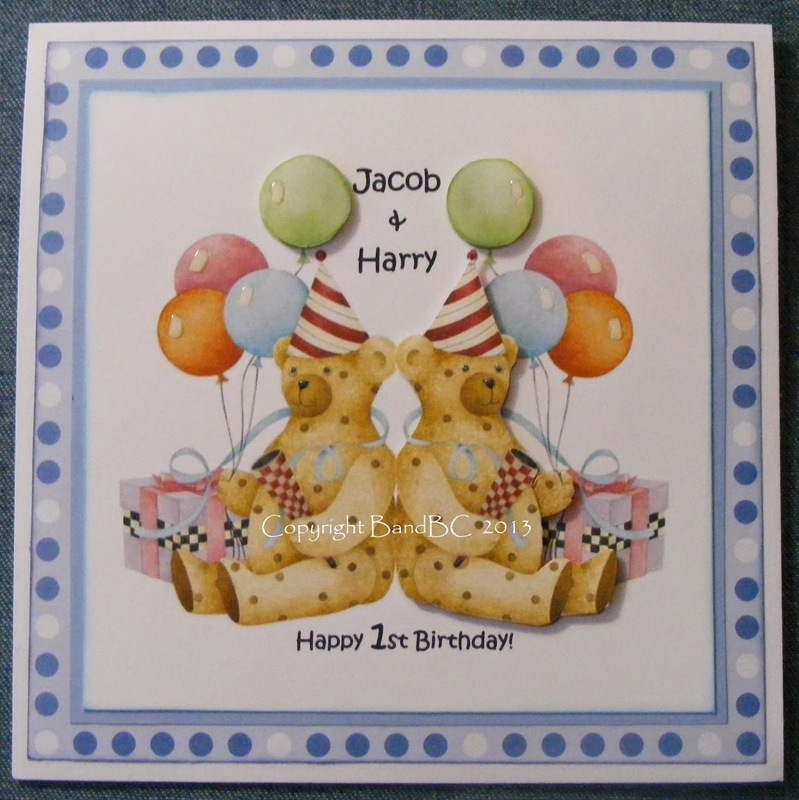 I got a fab feedback from this card... the recipient said it was the best card she had ever received!! 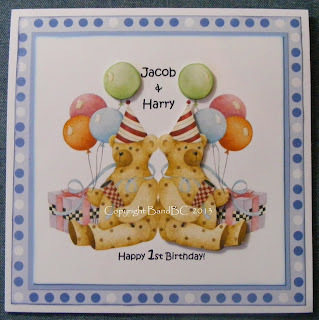 now they are turning one and I was asked for another card. The image is by Debbie Mumm- bought on PC Crafter, years ago! I flipped the image to make another teddy, the same, but facing the opposite way. One ted is decoupaged and I put G.A on the balloons. This one was a hard one! a commission for my friends son. Decoupaged banner and badge. Glossy accents used. 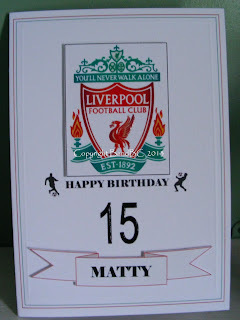 Embossed edge and double bordered. WOW What a great.......beautiful project.......love all the colors......We really appreciate you taking the time to enter our weekly challenge over on Whoopsi daisy Challenge # SPOTS AND DOTS ...........wish you good luck in the draw and really hope you join us again!!!!! Great cards. 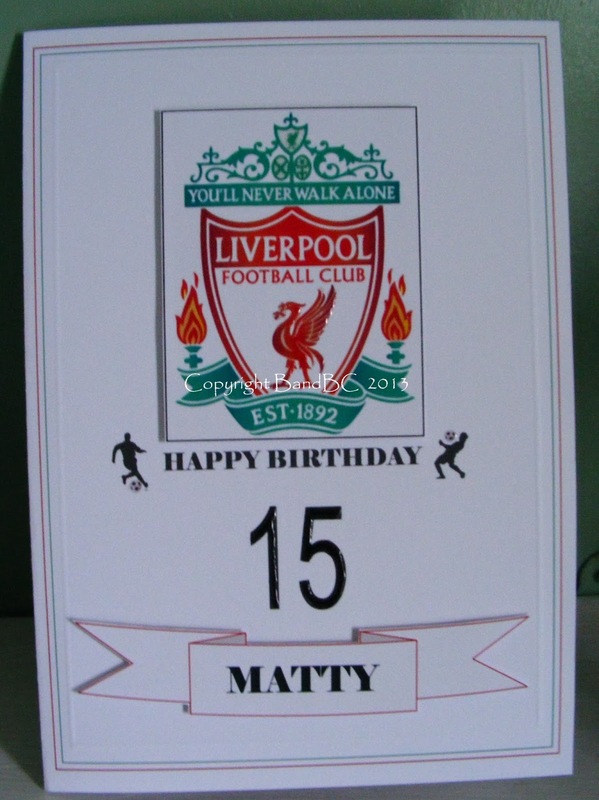 Sometimes personalised ones are the hardest to do so I sympathise! 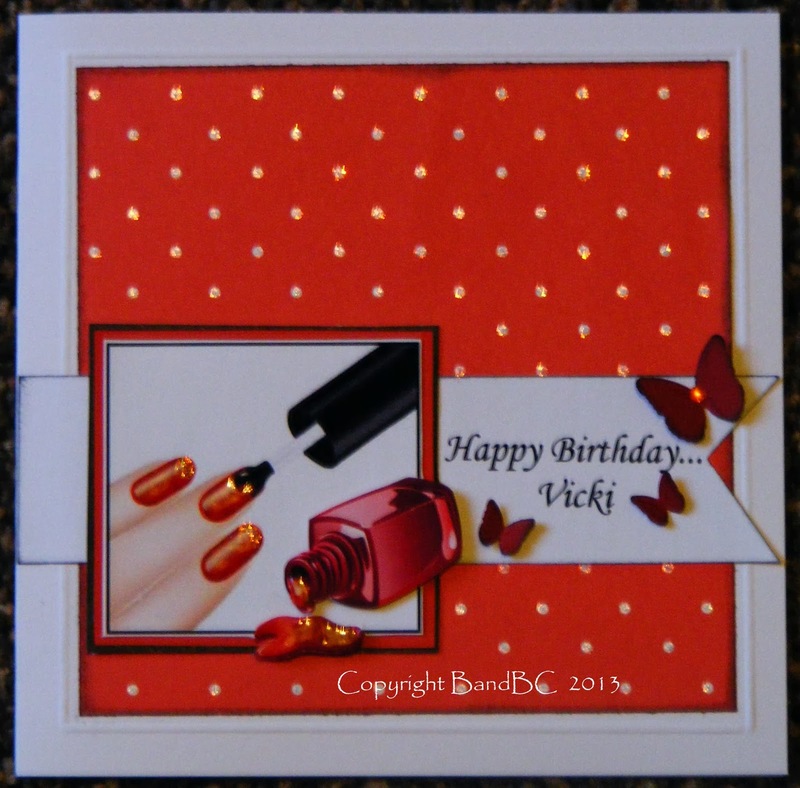 Beautiful card great for nail varnish lovers too! Thanks for joining us at Whoopsi Daisy. 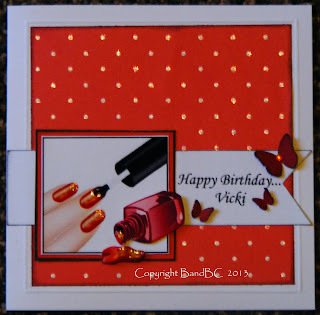 Very neat nail polish card! Thanks for sharing with us at Crafty Creations! That nail card is beautiful! Love the accents you've used.Thank you for joining us at Robyn's Fetish Challenge this week. Great cards. I like especially the first one; it is so nice, bright and girly. What a lovely trio of personalised cards, all great but the manicure card is definitely my favourite! Hope the decorating is going well!